Greys Inn breakfast menu approx 1967 - kindly sent in by Geoff Crimes. "Mags to add to your selection of Bulawayo pictures. Please excuse the stains. 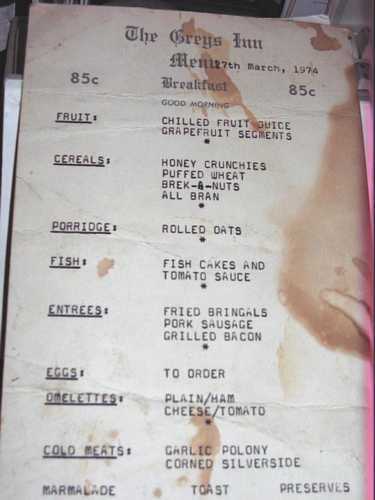 An old Greys Inn breakfast Menu.